I feel like bread pudding is one of those desserts you either love or hate. Okay, maybe hate is a strong word. Dislike might be a better a description. Growing up, bread pudding was not one of those treats I liked to eat. My mom used to make it and folks raved over how delicious it was but I just could not find that taste bud that would make me say “oh yeah, that bread pudding was delicious”. No offense, Mommy. I know your bread pudding was probably wonderful. The bread puddings I have tried over the years (yes, I kept trying to find one that I liked) have all reminded me of wet bread. I know bread pudding is moist but it should not be wet and soppy. It usually reminded me of dunking donuts into coffee. I tried that too and did not like it. Fast forward many years later and my taste buds have changed. I am not totally in love with bread pudding but I must say it has grown on me. My first experience with a scrumptious bread pudding was at a local restaurant. I ordered it because I saw a beautiful plate of the dessert at the table next to us. The description on the menu made the bread pudding sound so good I thought I should give it another try. The dessert lived up to the description and looked absolutely wonderful. Now I am willing to eat and make bread pudding whenever the mood hits me. 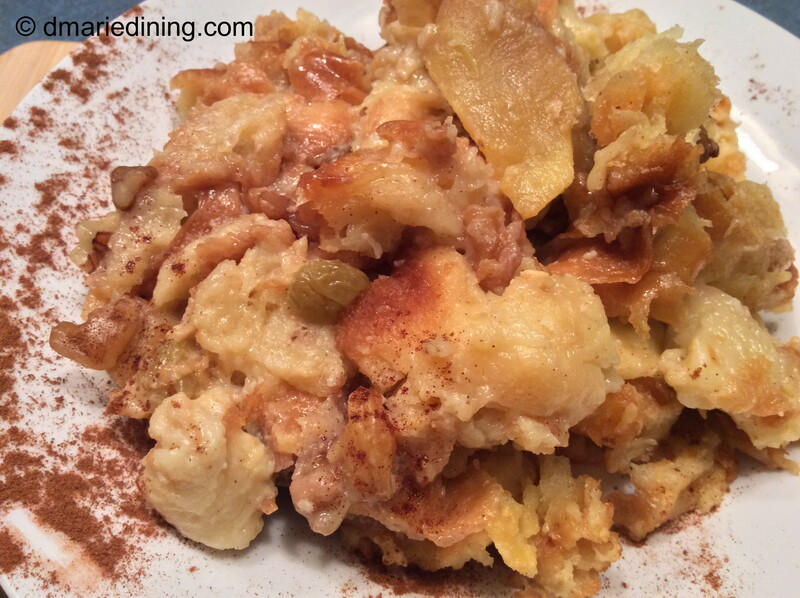 My version of bread pudding does not use regular bread like most bread puddings. 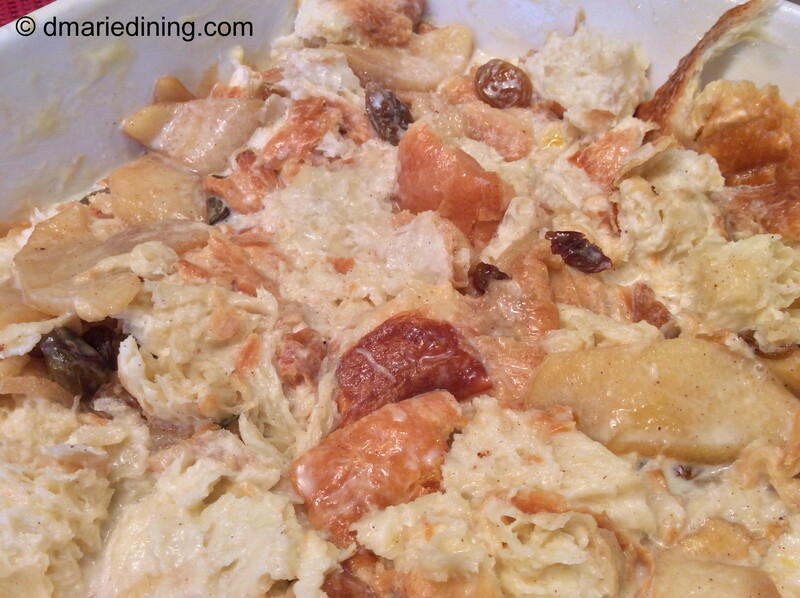 I stepped it up and use butter croissants which makes the bread pudding both savory and a little sweet. 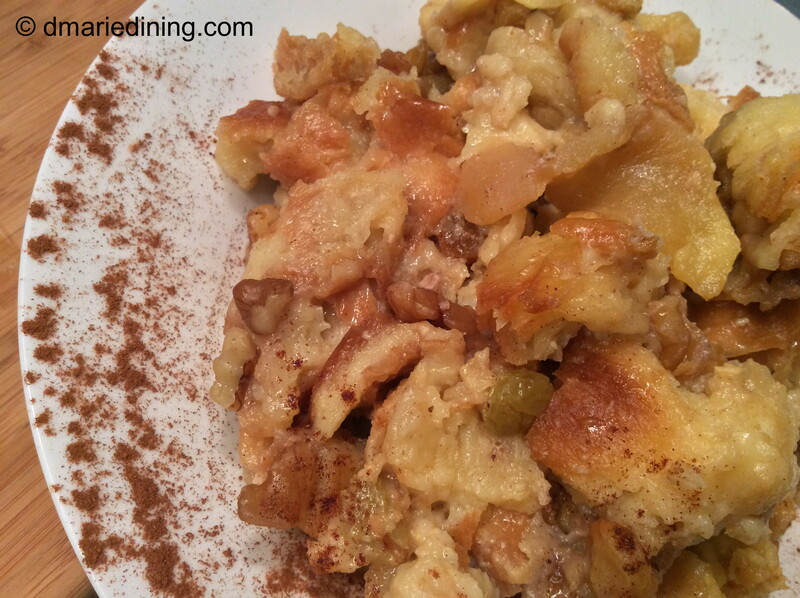 Adding thinly sliced apples and walnuts just makes the bread pudding even more delicious. For those that don’t like apples, you can leave them out to make a more classic bread pudding or substitute peaches, pears or some other fruit you like. Any choice you make will be equally delicious. In a medium non-stick frying pan add 2 tbsp butter and melt over medium. 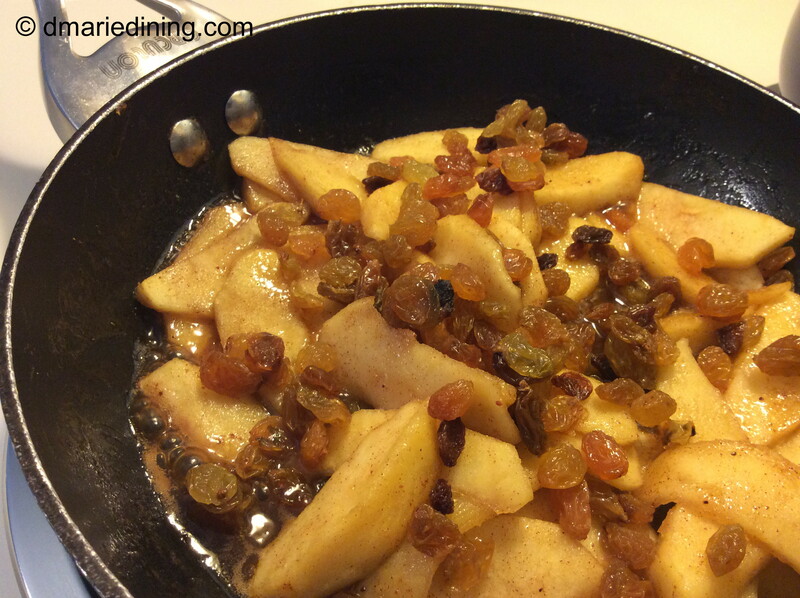 Add apple slices, water, raisins and light brown sugar. Toss to coat apples with brown sugar then simmer until apples soften. Remove from heat and set aside. Whisk eggs and egg yolks with sugar until smooth. 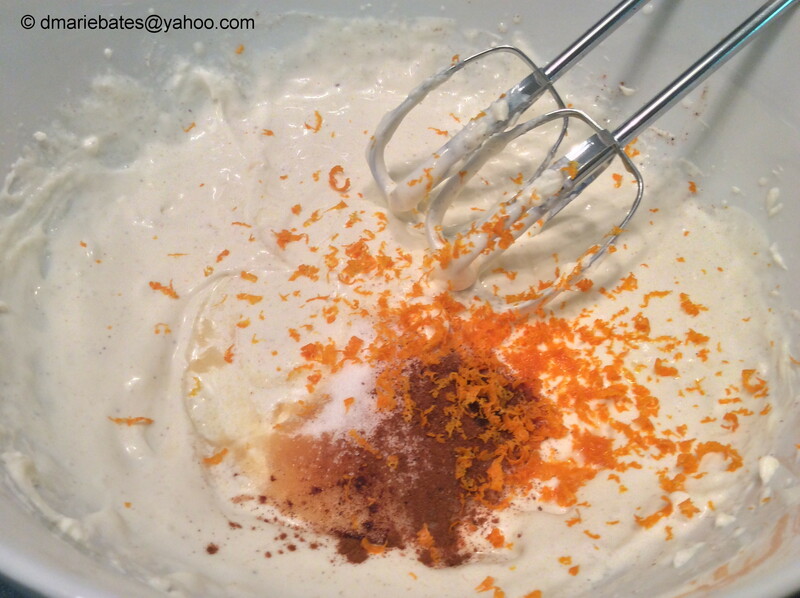 Whisk in seasonings then add milk, cream and vanilla. Place croissant pieces in a long buttered baking dish. Pour melted butter over bread then layer with cooked apples. Toss walnuts into the bread mixture. Pour custard mix over croissants. Press bread into the custard and make sure all pieces are covered with the custard (add a little more milk if necessary). Cover with plastic wrap and place in refrigerator for 2 – 3 hours or overnight. Preheat oven to 350 degrees. Bake bread pudding for 30 minutes until set and golden brown. Let cool. Apples are a marvelous fruit that is transformed throughout the year into delicious recipes for snacks, drinks and desserts. Some recipes are seasonal like warm apple crisp in the warmer months or mixed into fruit salads in the cooler months. 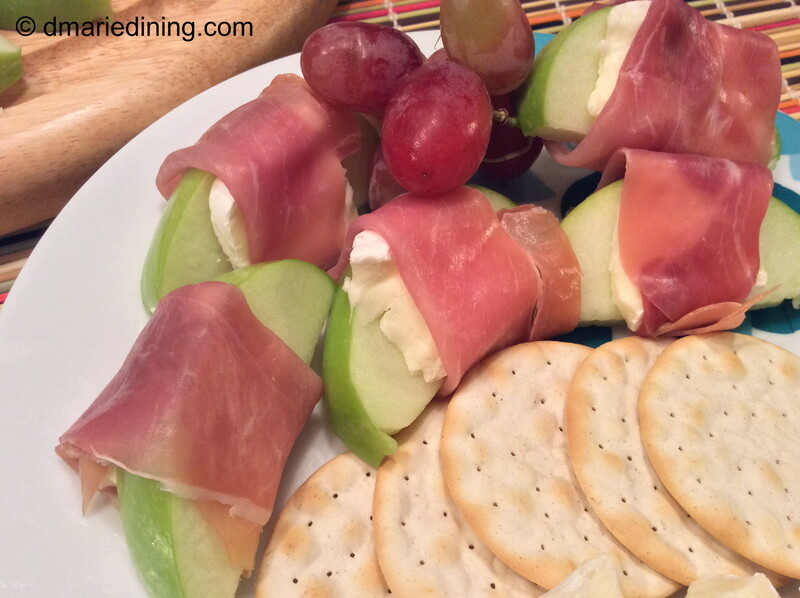 My simple recipe for Apple, Brie and Prosciutto Appetizer can be made anytime of the year and may be transformed by the type of apple you decide to use. In the fall , the best kinds of apples are honey crisp, Swiss gourmet and granny smith. When my youngest son was a little guy we would gather some friends to go apple picking before the weather turned too cold. There was a local farm not far from out neighborhood that allowed you to pick seasonal fruits by the pound. The kids loved it because they could ride a wagon down to the apple orchard then fill their bags to the brim. Granted, it was a little more expense than store bought apples but to see the kids running around having fun was well worth it. Plus, there was a petting zoo, face painting and pony rides that the kids all loved. 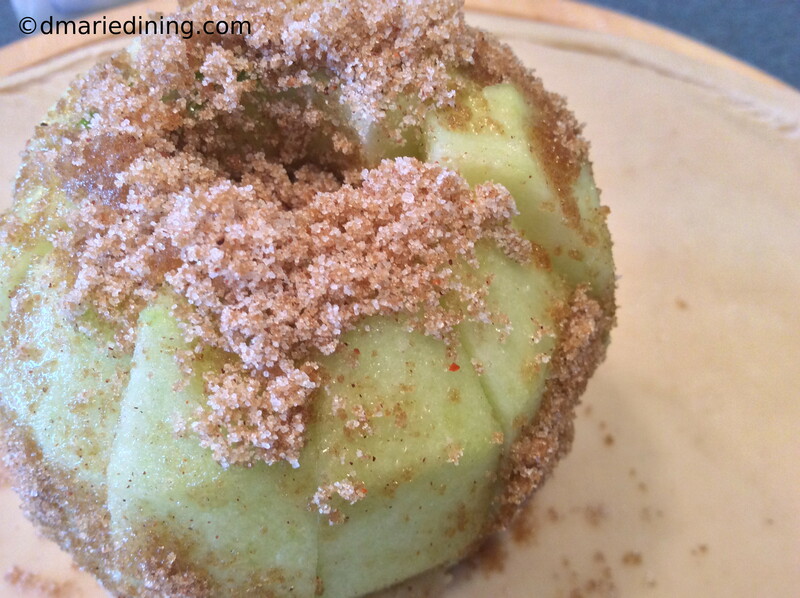 My apple of choice for this recipe was a granny smith apple. We did not have time to pick any so I had to settle for apples from the grocer. Still, the apples were juicy and delicious. 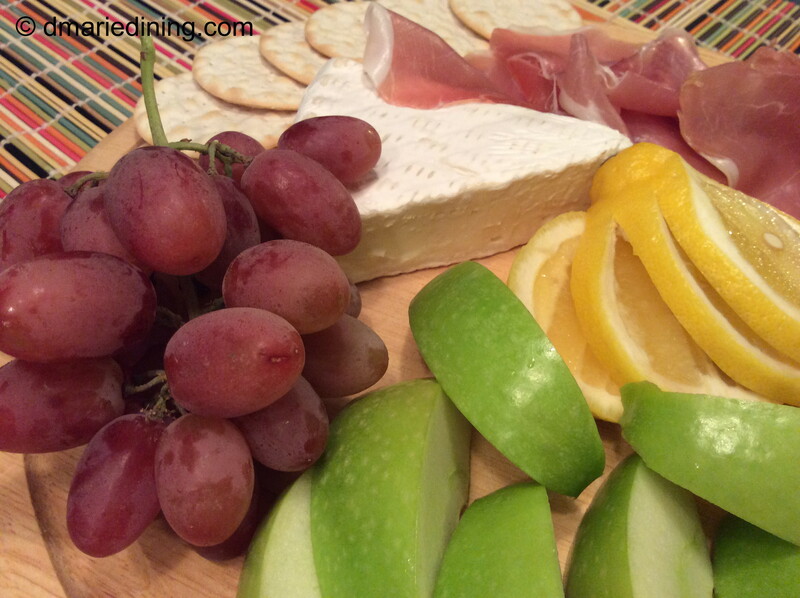 Anyway, I used granny smith apples because I wanted a contrast of flavors between the Apples, Brie and Prosciutto. 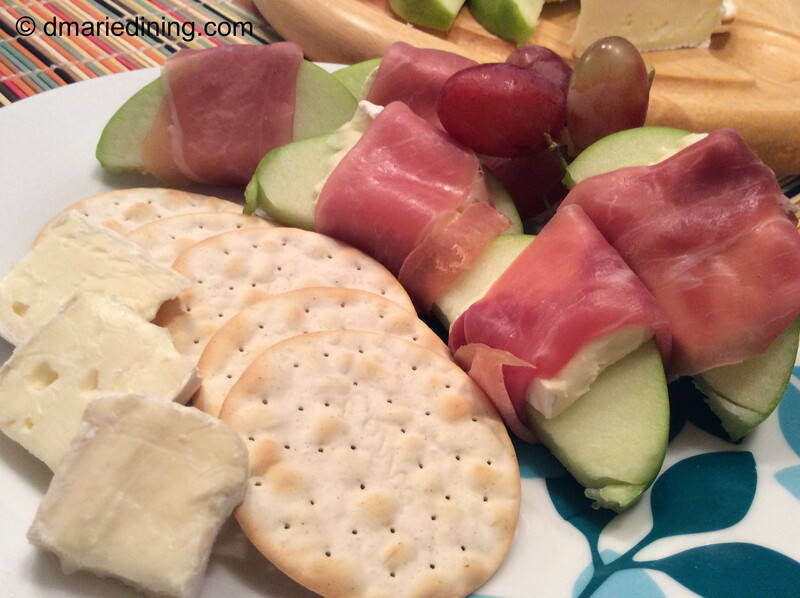 Hubby thought the Apple, Brie and Prosciutto Appetizer was sweet and rich but not too rich. Sour, salty and sweet is how I would describe the flavors. Sour, because of the granny smith apples. 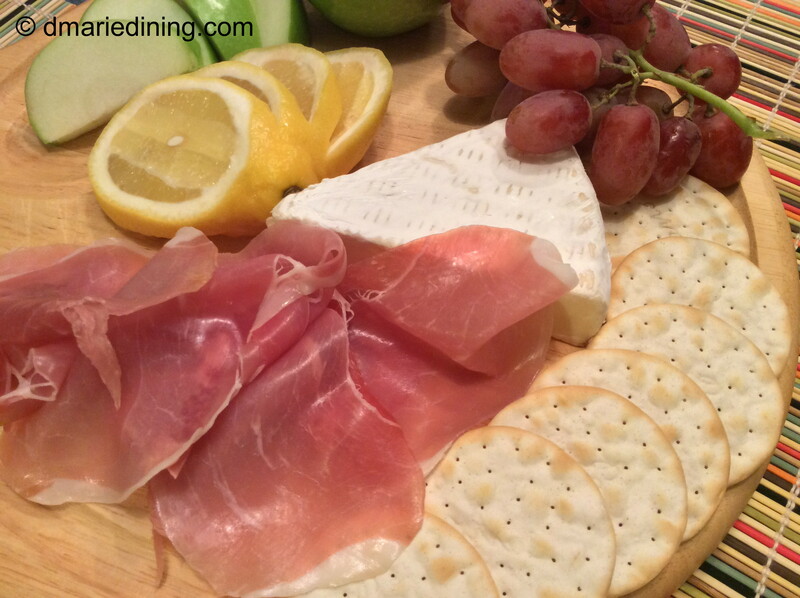 Salty, because of the slightly salty prosciutto and sweet because of the nice creamy brie. 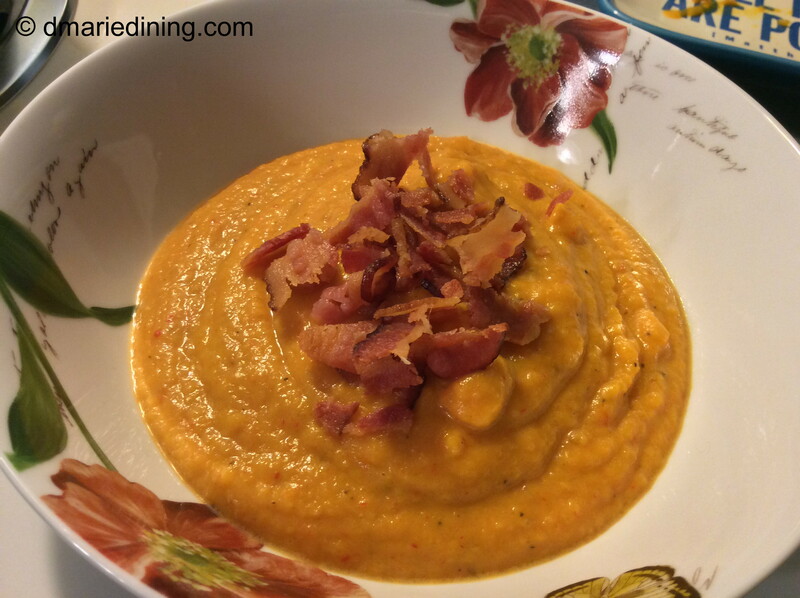 Adding a few crackers to the mix made my hubby and I agree this was an appetizer our family, friends and my blog followers would enjoy. 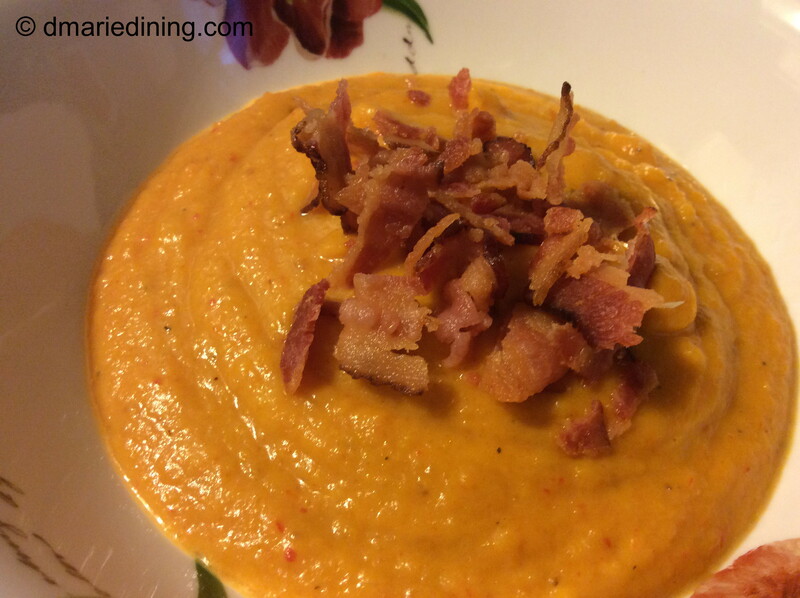 This recipe will definitely be on my menu for the holidays. To make it look festive during the holidays I think I will use both red and green apples. Maybe I should make an apricot fruit dip to go along with the apples. Hmmm….. stay tuned for that one. 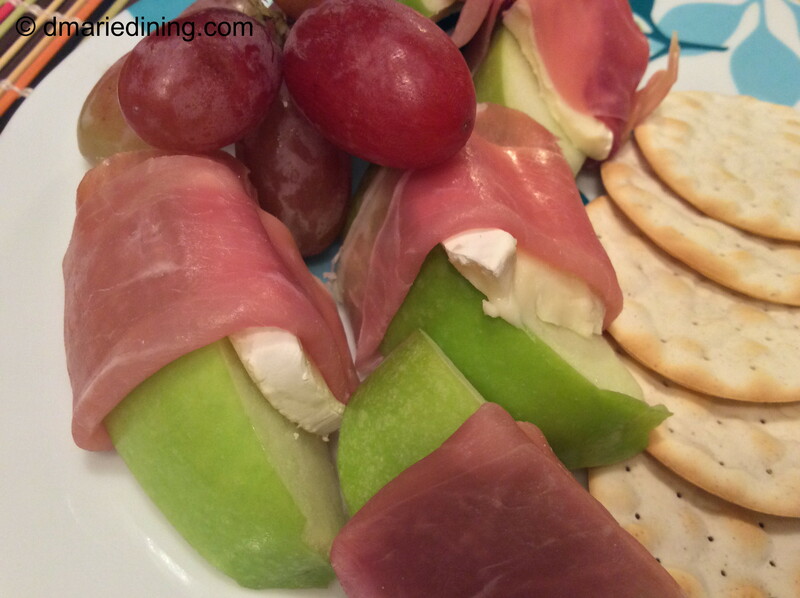 Place a piece of brie on each apple slice then wrap with prosciutto. Serve with crackers. Slowly but surely I am becoming more and more comfortable trying out my baking skills. Granted I am still a long way off from competing with my Mom who is the baking Queen of the universe. Once someone tries any of her baked goods they will come back again and again to ask Mom Mom if she will bake them a cake, pie, cookies or anything sweet. I am the tortoise in the baking race of life. I am slow but steadily gaining ground as I go along. 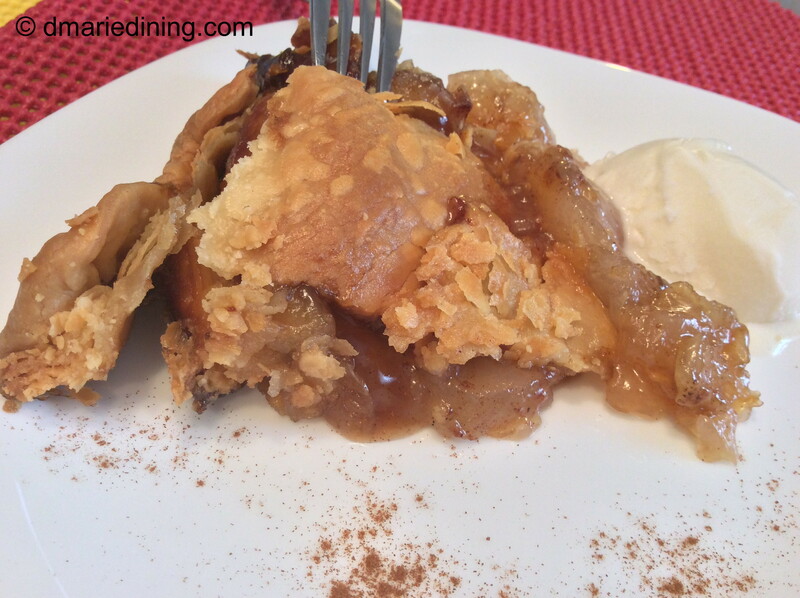 Today I decided I would try to make an Apple Dumpling for dmariedining.com. Instead of making an apple pie I thought it would be nice to create an apple filled pastry that has all of the flavors of an apple pie. Plus, the process seemed simpler to me. I wanted an individual dessert rather than a large pie since my family does not eat a lot of dessert. Making an Apple Dumpling meant I could make two dumplings that we could all share and not worry about wasting a whole pie. I must admit I have only had an Apple Dumpling once or twice in my life. They were okay but the pastry was a little tough. For me, the crust is the best part of any pastry dessert. Since I am still honing my baking skills I either get my Mom to make me a batch of crust which freezes nicely or I buy a crust I know will be flaky. 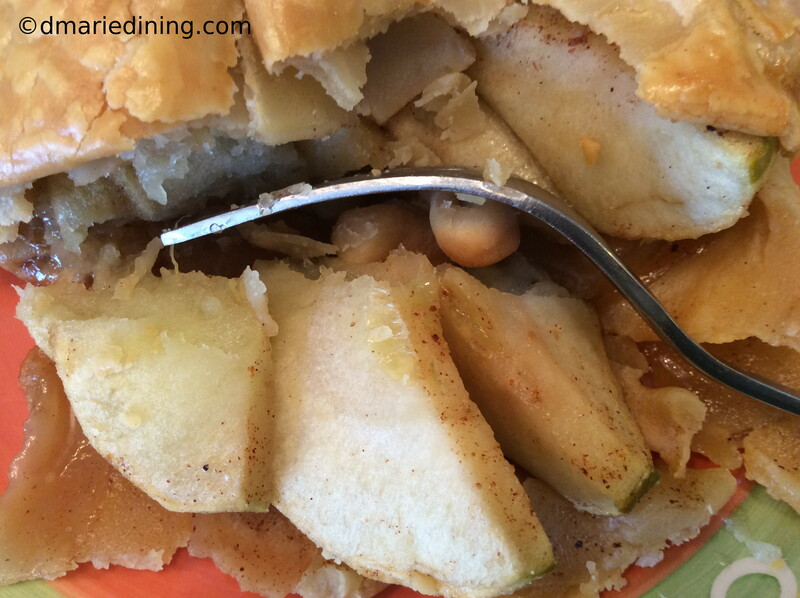 Apple Dumplings are a wonderful treat that is pretty simple to make with only a few ingredients. Hmmm… I think I will try making a peach dumpling when peach season comes around. 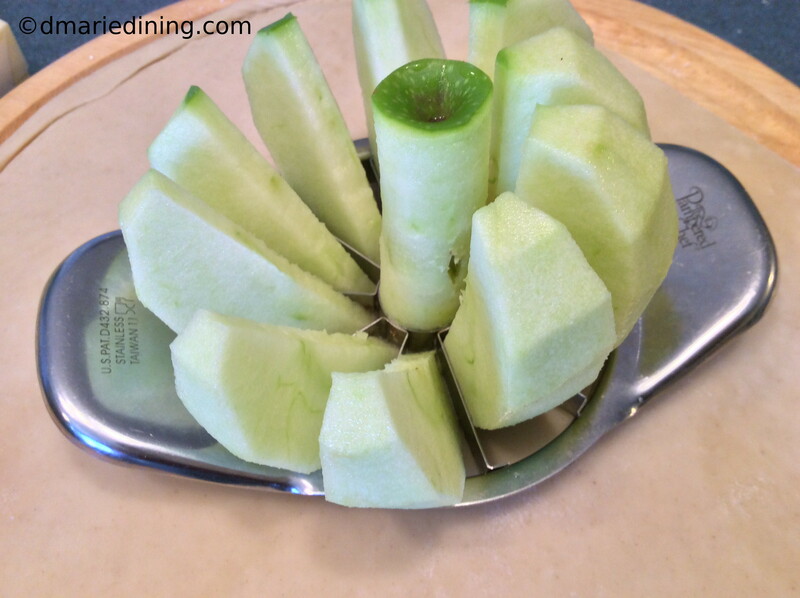 Slice and core apple with an apple slicer (to maintain shape of apple). 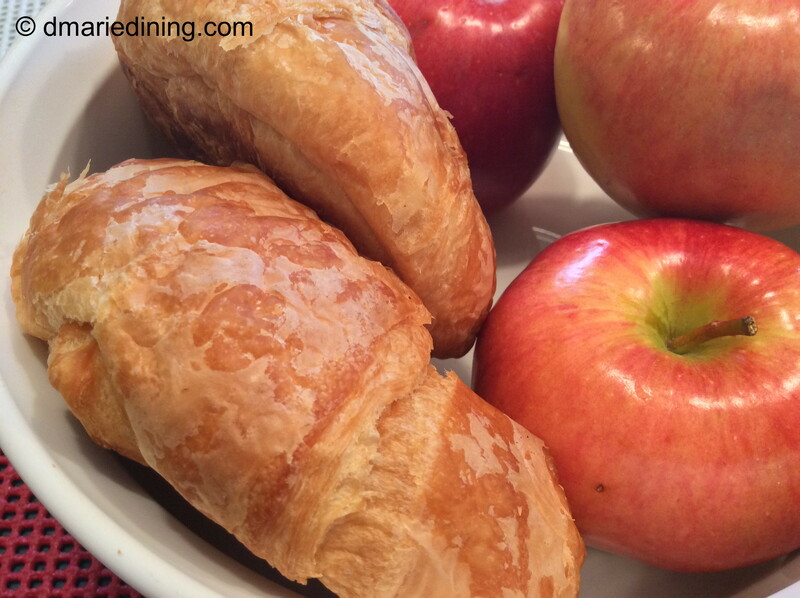 Wrap a strip of pastry dough around the apple to hold slices together. Melt butter in small sauce pan. 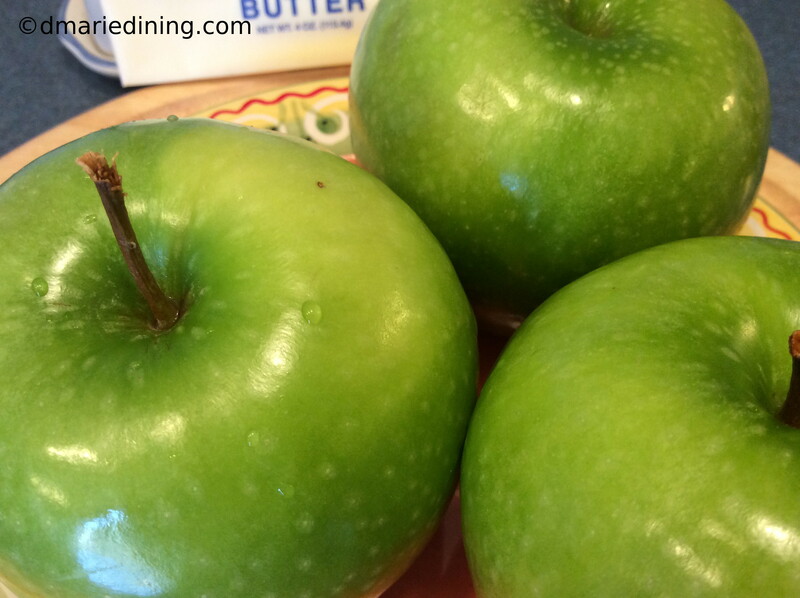 Brush apple with butter then roll in sugar mixture or pat mixture around apple with your hands. Place apple in the center of the pastry. Spoon a little melted butter in the middle of the apple and fill center with more of the sugar mixture. Fold pastry tightly around apple and brush the pastry with egg wash. Poke the top and sides of the pastry with a fork for ventilation. Bake for 45 minutes to 1 hr until golden brown and the apples appear to be soft.. 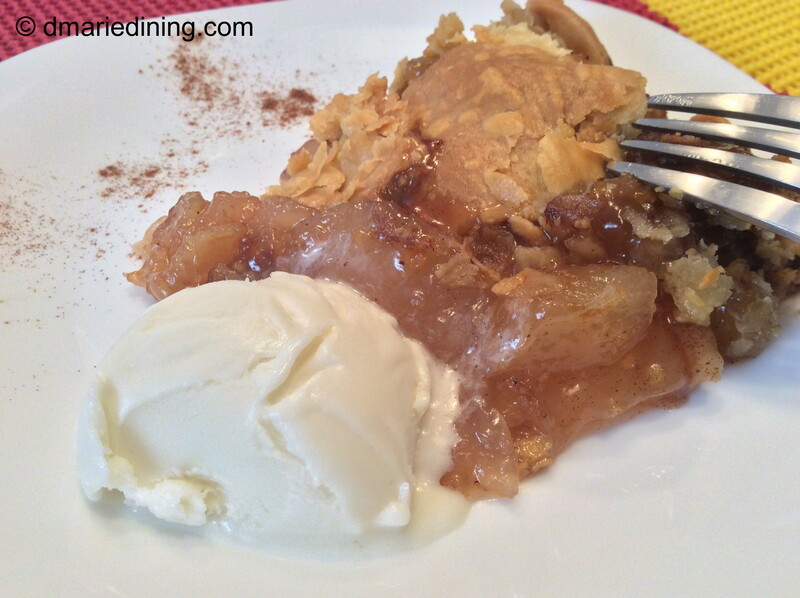 The skillet apple pie recipe I am sharing was adapted from Trisha Yearwood’s skillet apple pie recipe. I was watching her show one day and she made an amazing looking pie in just a few minutes. I figured if she could whip together such an amazing dessert in no time flat I should be able to do the same. I just transformed a few of the ingredients she used and cut out others. Trisha’s recipe called for a cinnamon and sugar mixture but I used each one separately plus added a little nutmeg. I am also not big on sugar coated pies so I did not sprinkle the top with the same cinnamon sugar combination she used inside the pie. Of course if you like a lot of sugar feel free to sprinkle the crust with cinnamon and sugar. I have to admit when I first saw the recipe for a skillet pie I thought peaches would be better than apples. I imagined using fresh peaches cooked down just a little bit with cinnamon and sugar. Unfortunately, peaches are not in season yet so I stuck to the recipe and used apple pie filling. Give me a few months and I will definitely try the recipe using fresh peaches. The results of the pie were absolutely wonderful if I do say so myself. Flaky and delicious this is as close as you can get to an apple pie made from scratch. 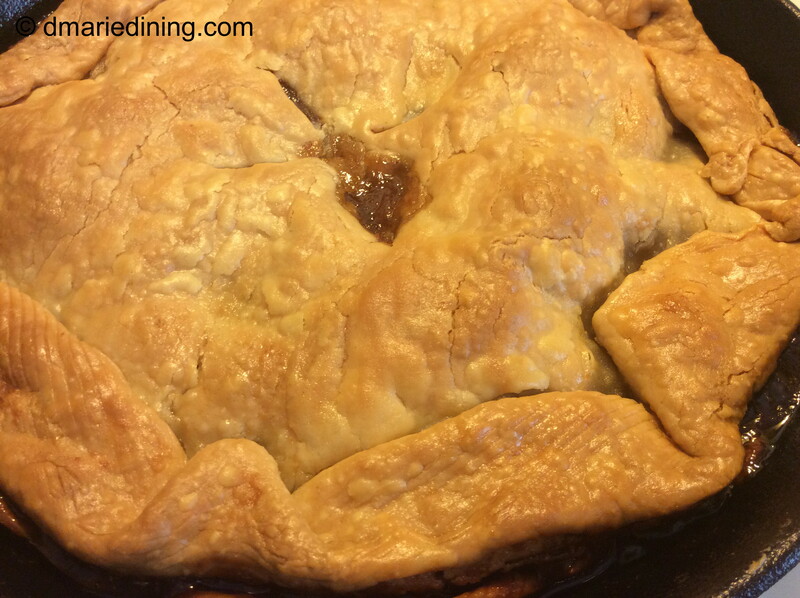 Quick and easy is my recipe mantra and Skillet Apple Pie hits the mark on both counts. Even on those days you are too tired or cranky to spend a lot of time in the kitchen you can pull this dessert together in less than 15 minutes. Okay, so you do have to wait for it to bake but it is truly worth the wait. Preheat oven to 400 degrees. Unroll each pie crust. Spray cooking spray around iron skillet. Melt ½ stick of butter in skillet over medium low heat. Add brown sugar and let melt into butter stirring occasionally. Remove skillet from the heat and add one pie crust to the skillet. Gently push the pie crust down into brown sugar and butter. Add pie filling and sprinkle with cinnamon, sugar and nutmeg. 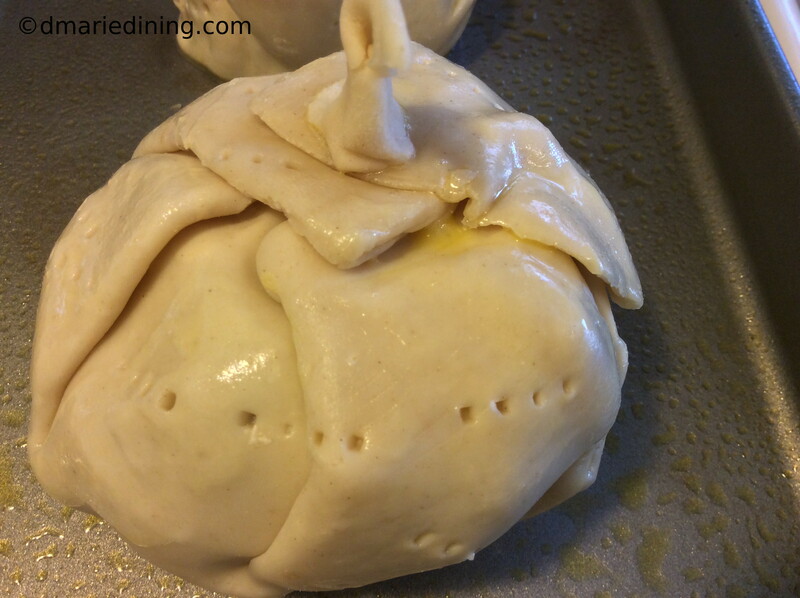 Place second pie crust over the filling and turn crust edges inward. 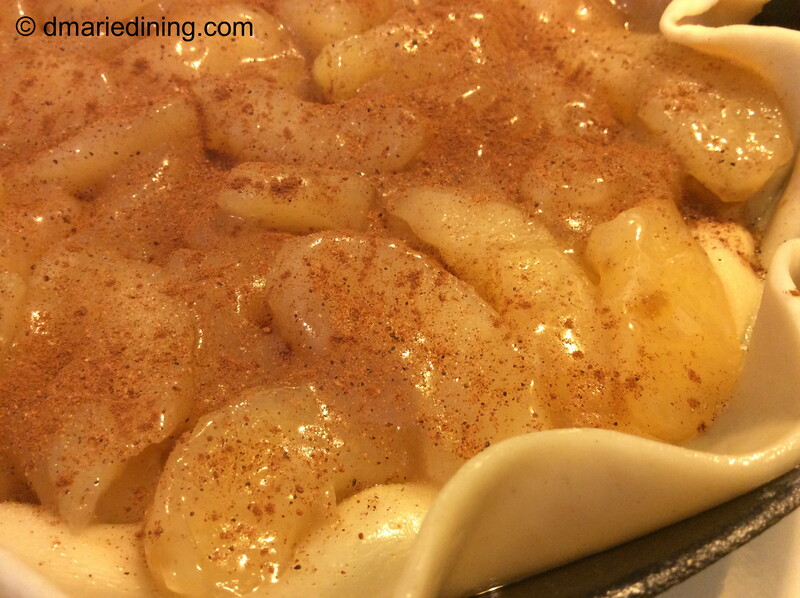 Brush top with 1 tbsp of melted butter and then place small slits in the top of the pie to allow the steam to vent. Bake 30-40 minutes until golden brown. Try this recipe with a peach or cherry pie filling. Adjust using cinnamon and nutmeg if using cherry pie filling. 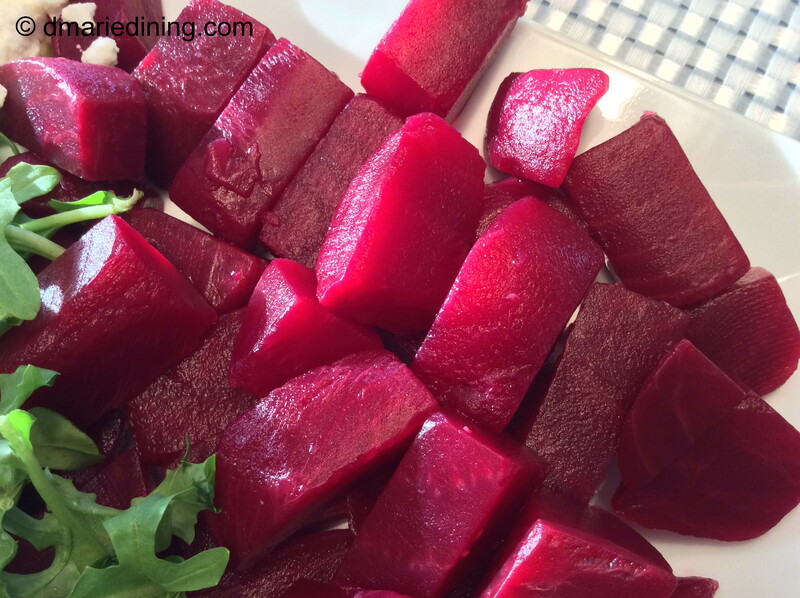 Beets are one of those vegetables people usually forget about because they are not considered “popular” at least not right now. Foods like fashion are featured as the “in” thing at different cycles in time. Remember when it was said that pork was not good for you then a while later it became the “other white meat” and was the popular thing to eat. I really do like beets but I also forget about beets until summer comes and I am in salad mode. 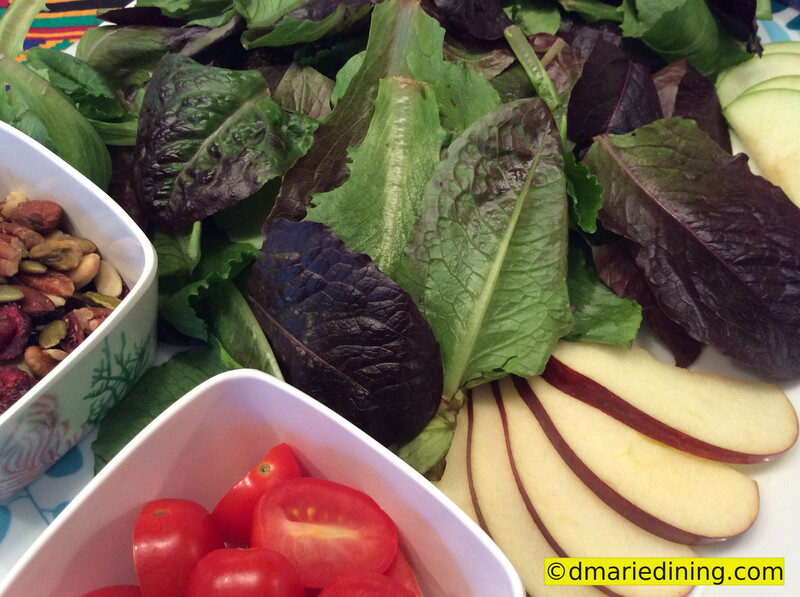 I love to have salads with dinner in the summer because there are so many beautiful fresh veggies available. I have thought about growing beets but I have not had the courage to do it yet. I have tried growing cabbage, squash and eggplant without much success so I stick to the veggies I can easily grow. Tomatoes and all kinds of peppers grow in abundance on our porch. I also grow a lot different herbs. Maybe next summer I will plant a few beets and see what happens. Anyway, beets have their own unique flavor and sweetness. Depending on what we are having for dinner I will pair the beets with some other veggie or lightly season the beets and eat them all by themselves. 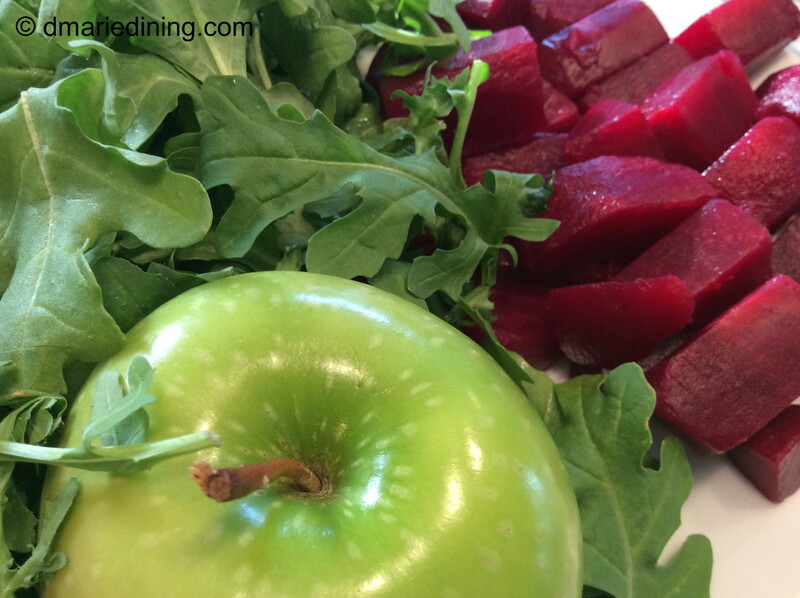 I have two favorite beet recipes. 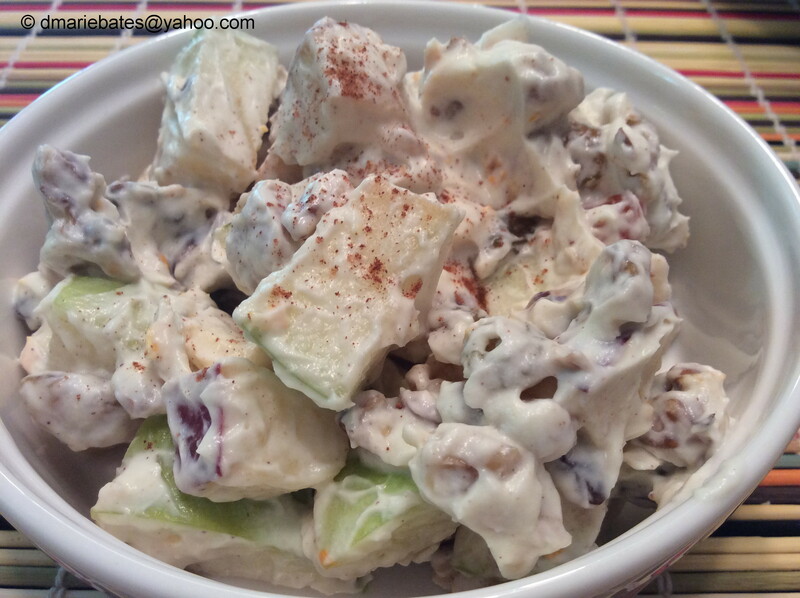 My old trusty beet salad which is similar to a basic potato salad recipe but substitutes beets for potatoes. 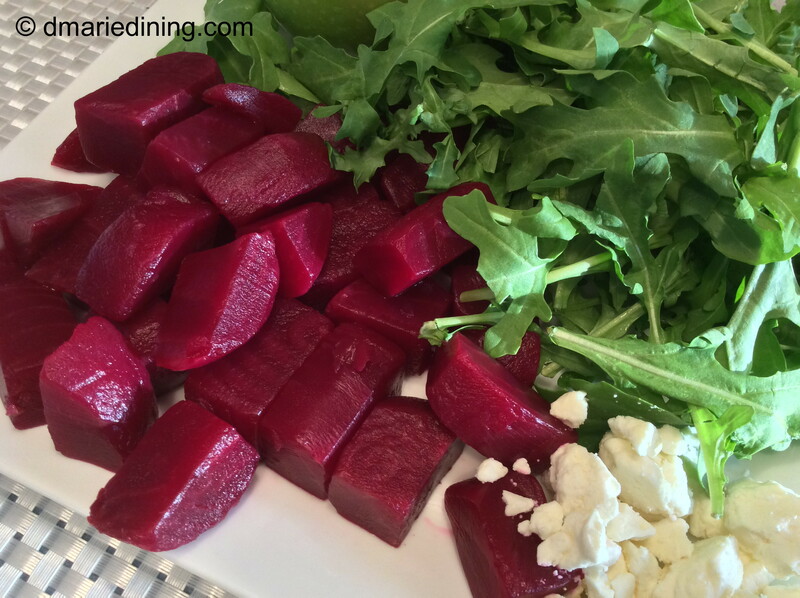 Then there is my more recent recipe of Beets with Arugula and Feta Cheese. 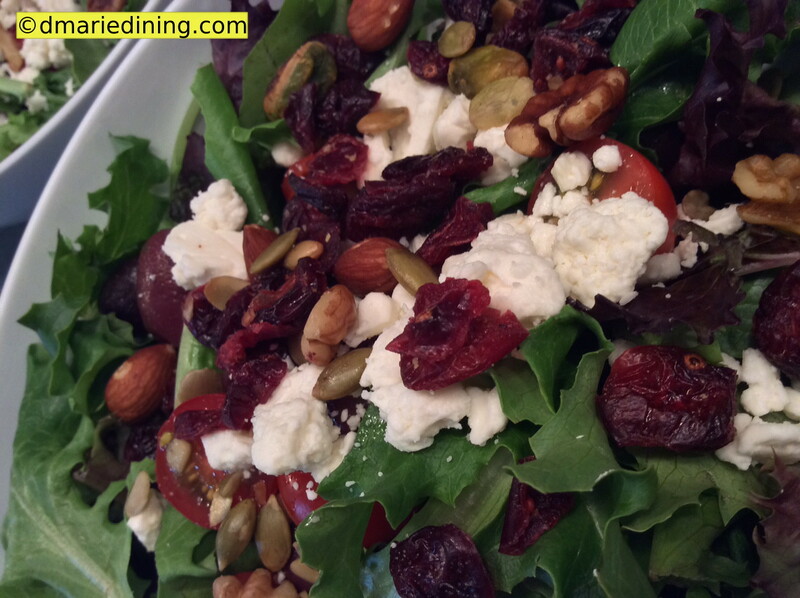 I have been working on more salad recipes to help shake off the winter blues and get ready for summer. 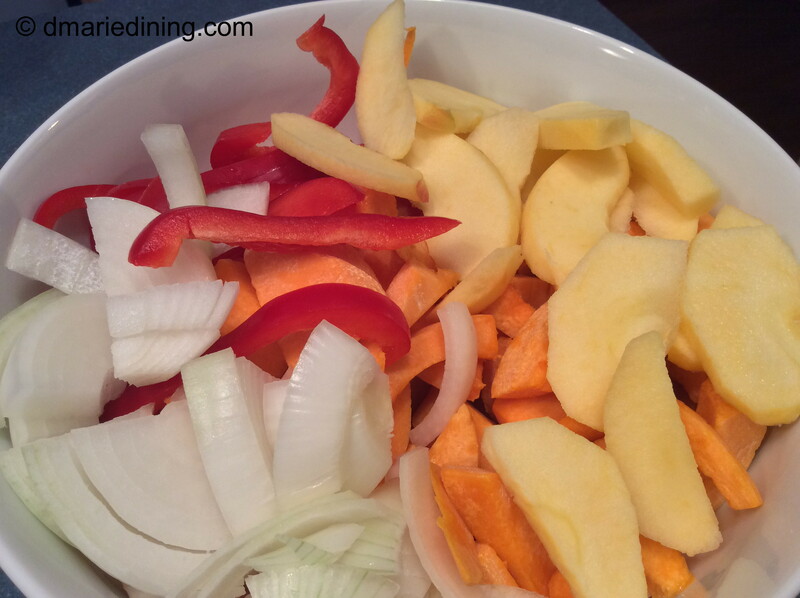 In the winter I focus on hearty meals and soup but spring and summer call for lighter meals with lots of fresh veggies. Arugula is one of my favorite dark salad greens so I often combine it with several other ingredients to create unique dishes like my Chicken and Pasta with Lemon Cream Sauce. 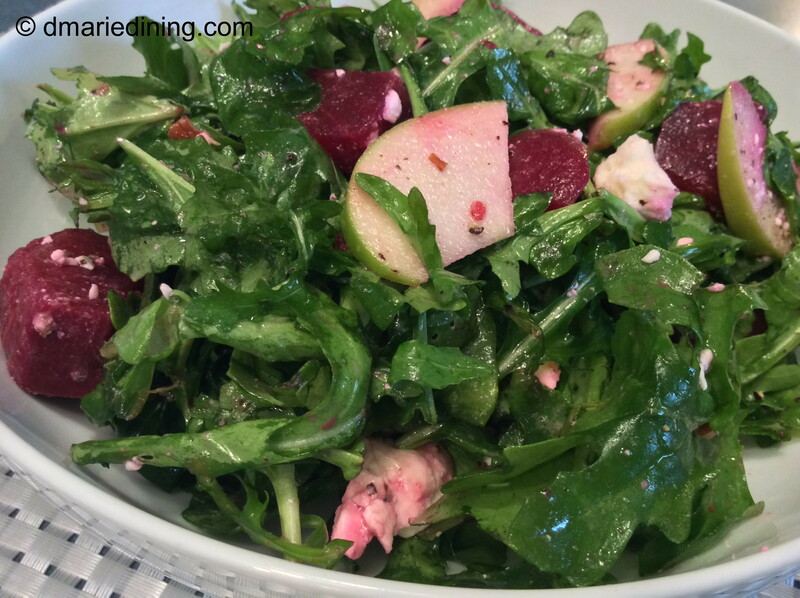 In my Beets with Arugula and Feta Cheese recipe I mix beets, green apples and arugula which all seem to compliment each other. 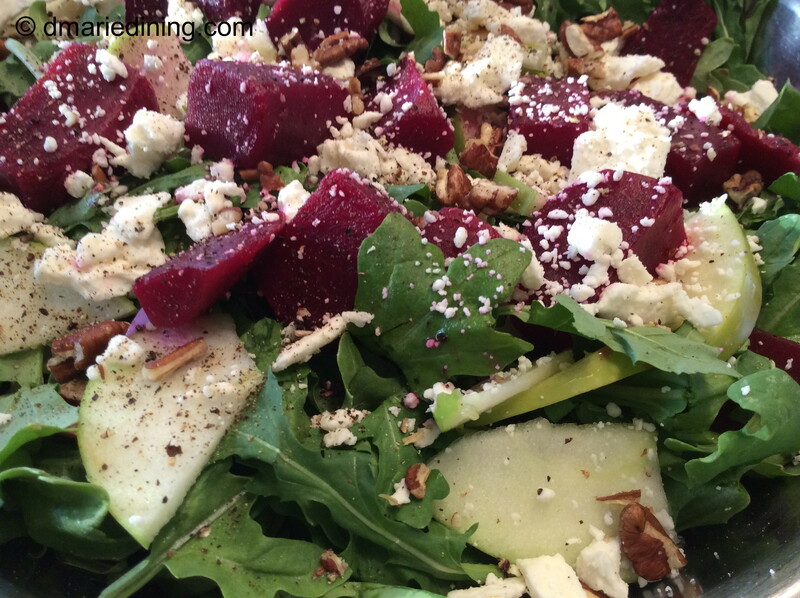 The sweet beets, sour granny smith apples, salty feta cheese and nutty flavored arugula satisfy all of my taste buds. I am getting ready for summer. How about you? 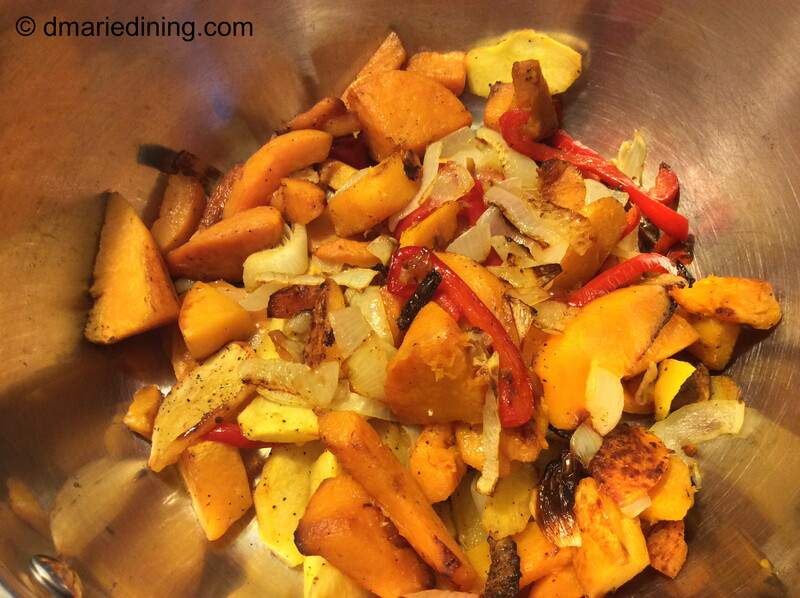 In a medium bowl mix together white wine vinegar, seasonings Dijon mustard and garlic. Slowly whisk in olive oil. 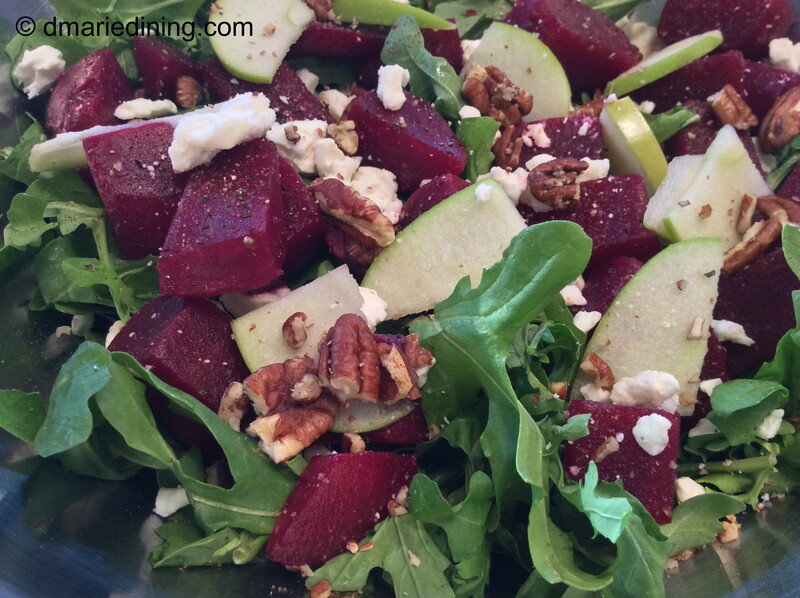 In a large bowl place arugula, beets, pecans, apples and feta cheese. Drizzle vinaigrette over salad then gently toss to coat with dressing. 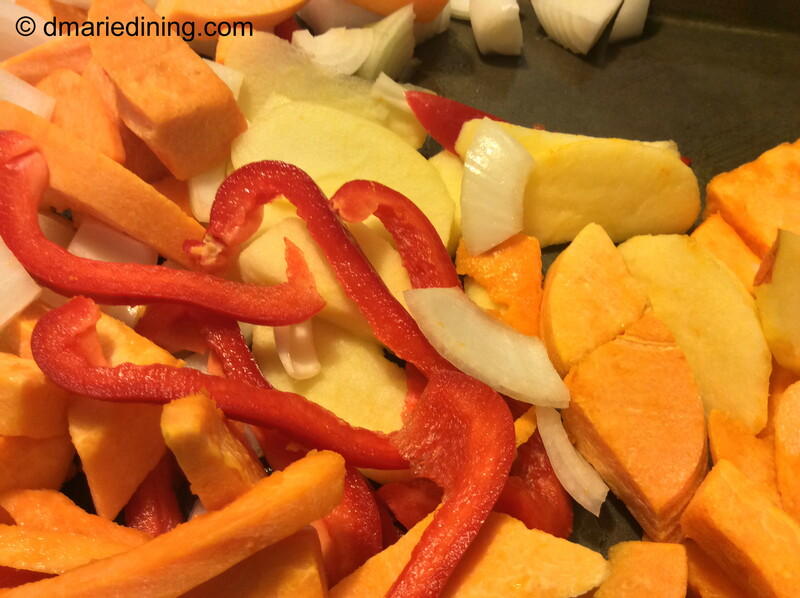 Taste and add more seasonings or dressing if needed. If you are a sitcom fan, then you know about Elaine’s love of and constant search for the “BIG SALAD”. Salads are a healthy quick and easy dish to make when you don’t have a lot of time or you are too tired to fix a big meal. The great thing about salads is that they are very versatile. 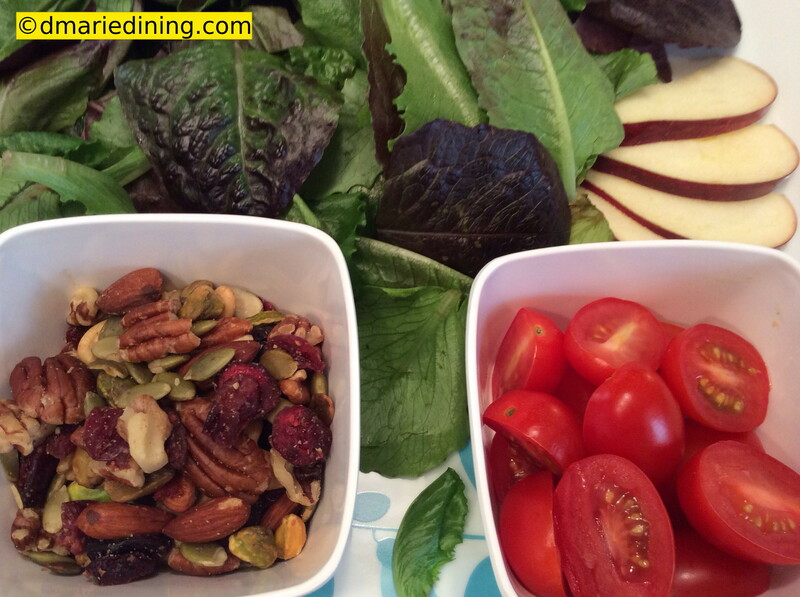 You can custom design every salad by using whatever is available in your pantry or frig. Every salad you make can become a work of art that is both pleasing to the eye and definitely pleasing to the stomach. On nights I do not have to cook for the family I will make a Big Salad and load it up with whatever I can find in the fruit bowl or refrigerator. 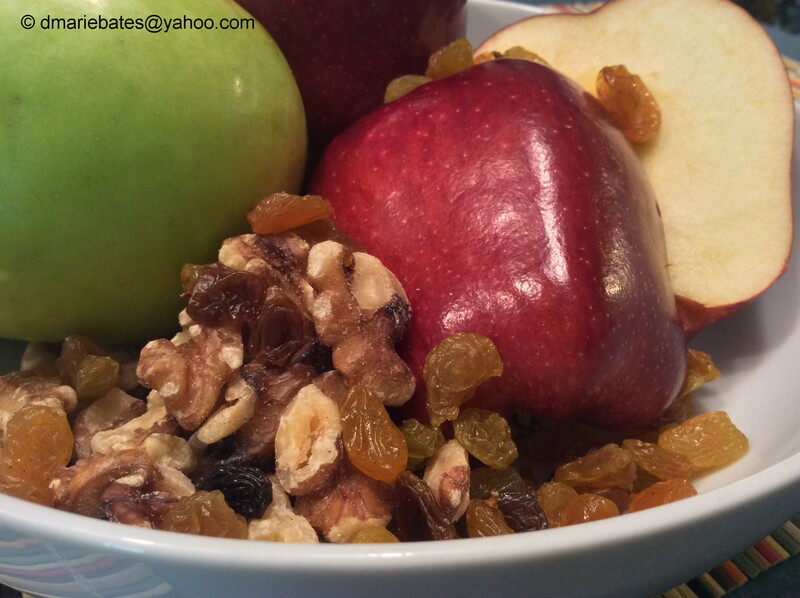 Apples, dried cranberries, golden raisins, nuts and olives are a household staple so that is the base of most of the salads I make. 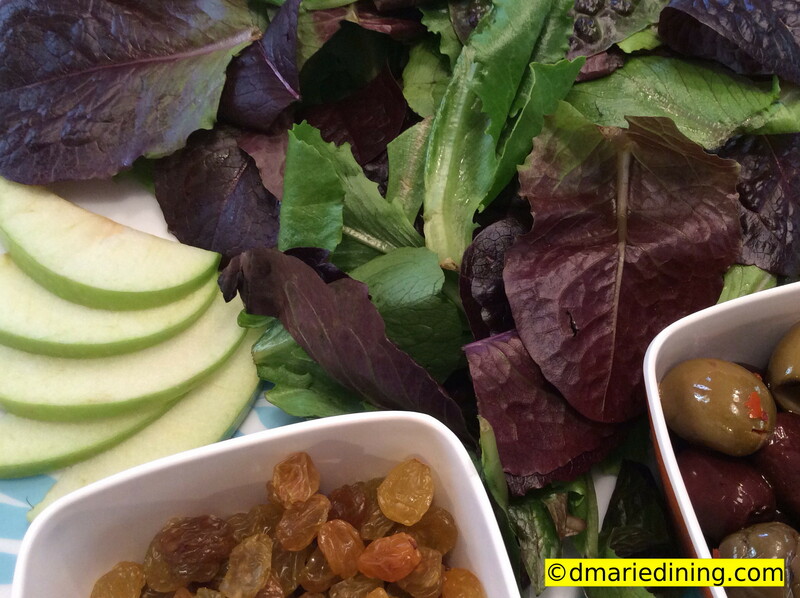 Because my son only likes iceberg lettuce and my husband and I like mixed greens, I usually keep both on hand. Sometimes I mix various types of lettuce to keep things festive. Cheese, cheese, cheese. I love cheese! Whatever you do, do not forget to add cheese to your salad. Feta, Blue Cheese, Shaved Parmesan or just plain cheddar will give your salad that extra boost and provides good protein. To keep things light, I like to use Gazebo Room Greek Salad Dressing and Marinade to top it off. This dressing has become a family favorite and brightens up the salad with a unique taste. 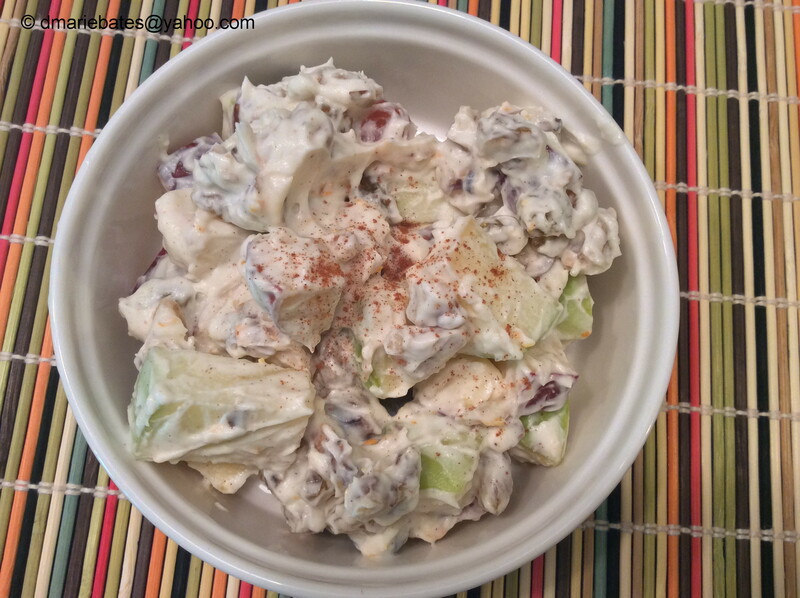 I never did discover what made Elaine’s Big Salad so delicious but I am sure my Big Salad recipe is sure to make you smack your lips. 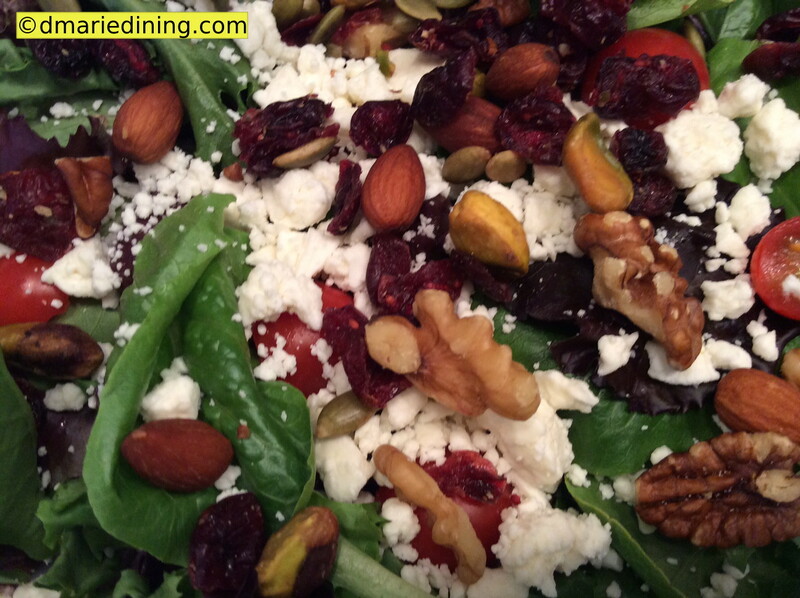 Did you know that in ancient times salads were considered an aphrodisiac? The next time you feel a little frisky try fixing that special someone a Big Salad and they will love you for it! In a BIG bowl layer the mixed greens, tomatoes, avocado, apples,bacon black olives, cranberries, golden raisins, cheeses, nuts, croutons and salad dressing. If you want an even bigger salad, add some chicken or seafood to make this a truly wonderful meal.